At Cookridge Hall Health and Fitness we have a fully equipped gym over 2 floors to provide enough variation for the ultimate workout. Our cardio floor offers a large number of cross trainers, treadmills and bikes to enable you to hit your goals, whether it be getting fit, losing weight or toning up. Our qualified staff are on hand to help you with the equipment and offer any advice on your workout. 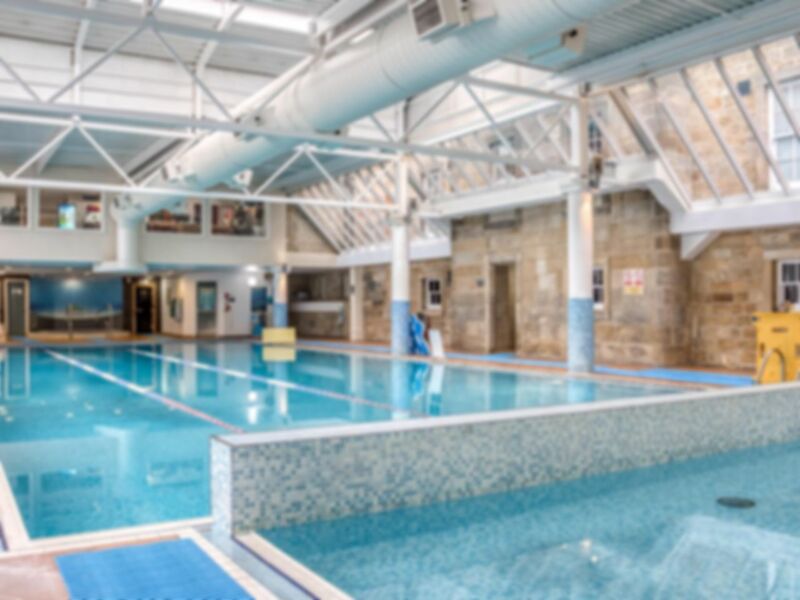 Our 20m pool is situated in part of the old hall and is surrounded by a glass roof and the ability to see outside. The pool is beautifully lit at night time to offer a relaxing environment to swim in. Within the pool area you can relax in the Jacuzzi or soothe those tired limbs in the steam room or sauna. Please note that towels are not provided as standard at the club, however we do have some to hire at a cost. We operate a padlock system for the lockers so we request that you bring your own padlock. Had a decent shoulder session at this lovely gym then a swim and sauna. The jacuzzi was closed though. Prices for a pass have recently gone up £9 to £13.50 which is a huge leap sadly. Disappointed, had bought 5 visits to this previously loved gym, however the quality has dropped since its change of ownership.Spa not working, cooler pool temperature, multiple broken gym equipment, no wet clothes bags -the list goes on! The price has significantly increased too. Good visit for a leg session at this well equipped gym followed by a swim and sauna. However, prices have rocketed from £9 to an exorbitant £13.50 recently so I may not be making so many visits in the future.